Calling All Artist! Now Accepting Proposals for Nuit Blanche North 2019! 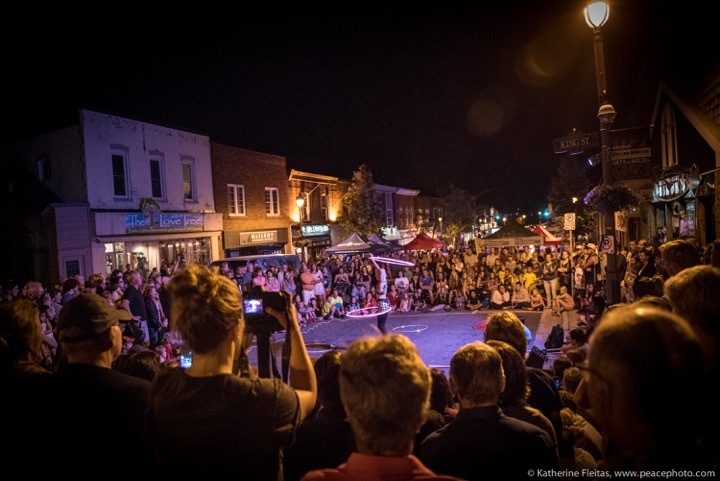 The Huntsville Festival of the Arts are pleased to invite artist proposals for the 8th annual Nuit Blanche North on July 27th, 2019. For one night only, the streets will come alive with an exciting program of free contemporary artistic activities, events and exhibits taking place in unconventional places in and around Huntsville’s downtown core. Close to 7,000 visitors flooded the streets in 2018, and we expect that number to grow again this year. This year’s theme is “All Together Now”. We are seeking unique and engaging installations, interactive art, film, sculpture, street theatre, music, or anything else that explore ideas revolving around the collective, what connects/divides, as well as the opportunities & challenges collectivity provokes. We seek projects that encourage audiences to explore, discover, debate, and participate in contemporary art and the public spaces that surround them. This is your chance to think outside the box, and let your imagination run wild. Any venue in the downtown core is possible, and we encourage local businesses, cultural and religious institutions to join in by opening their doors and offering free access to contemporary art. Artists will be paid fees for their participation. 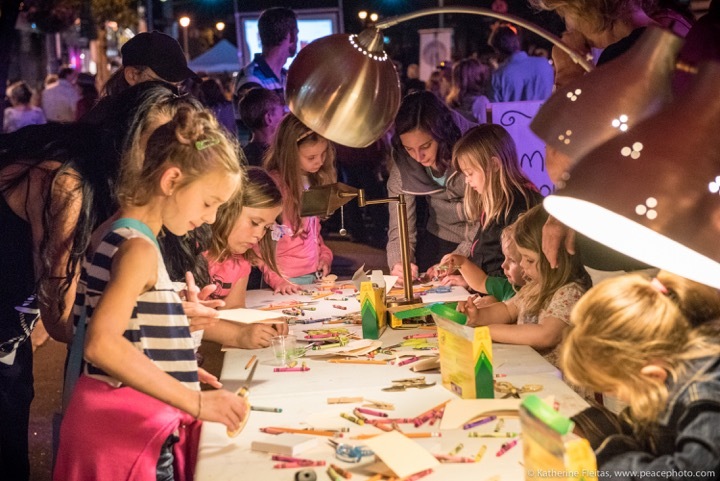 It was another incredible Nuit Blanche North as thousands flooded the streets of downtown Huntsville to experience the work of hundreds of artists. Thank you to our financial supporters the Celebrate Ontario Program, the Ontario Arts Council and the Downtown BIA. Thanks also to community partners the town of Huntsville, the Huntsville/Lake of Bays Chamber of Commerce, and Pipefusion. To our sponsors Metro, Hunters Bay Radio and Sawdust City Music Festival. And to our volunteers and production crew for making it happen. See you in 2019! Nuit Blanche North is Here! Join us on July 28, 2018 from 8pm to 2am in downtown Huntsville to discover and unleash your creativity! 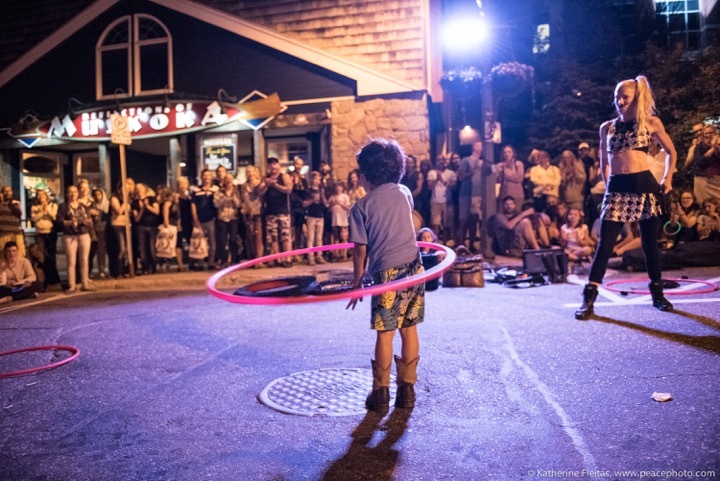 Nuit Blanche North Returns July 29th! Mark your calendars for July 29th! We’ve got some incredible things cooking!